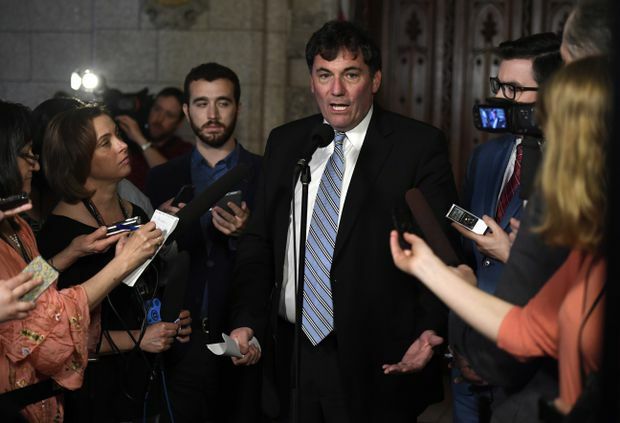 Fisheries Minister Dominic LeBlanc speaks to reporters in the foyer of the House of Commons on Parliament Hill after a cabinet meeting in Ottawa on April 24, 2018. Fisheries Minister Dominic LeBlanc defended his decision to award a lucrative clam harvesting quota to an Atlantic Canadian company with ties to the Liberal Party and to his family, telling the House of Commons on Tuesday that his wife has a lot of relatives. Mr. LeBlanc is being investigated by Canada’s federal Ethics Commissioner after he ordered the allocation of an Arctic surf-clam quota worth millions of dollars to a partnership between Indigenous groups and a company led by the brother of a Liberal member of Parliament. In addition, one of the participating Indigenous groups is led by a former Liberal MP. Documents filed in court as part of a legal challenge of the Fisheries Minister’s decision by an aboriginal band in Newfoundland and Labrador revealed that the Indigenous corporation that is part of the winning bid, Five Nations Clam Co., was originally headed by Gilles Thériault, who is the first cousin of Mr. LeBlanc’s wife, Jolène Richard. Facing demands in the Commons that he be removed from this Arctic surf-clam file, Mr. LeBlanc said Mr. Thériault was a distant cousin of his wife. The quota awarded to Five Nations Clam Co. was taken without compensation from another company, Clearwater Seafoods, according to Paul Lansbergen, president of the Fisheries Council of Canada. The Trudeau government undertook this measure as part of its reconciliation agenda to increase Indigenous participation in the fish industry. Mr. Lansbergen said industry members feel that companies that have quota expropriated to help Indigenous peoples should be compensated for this loss. The decision has cast a chill over investment as other companies worry they may be next, he said. 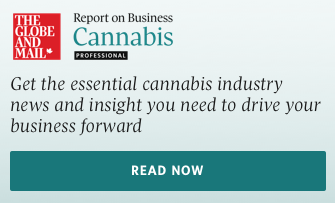 The Arctic surf-clam industry is a highly lucrative venture that generated almost $92-million in revenue in 2016, according to the Miawpukek First Nation’s application for judicial review of Mr. LeBlanc’s decision filed earlier this year. Arctic surf-clams are in high demand in Asia as well as North America because of their sweet flavour and their bright red tongues that make them a valued addition to sushi and sashimi. A Department of Fisheries and Oceans memo obtained by the Indigenous group leading the court challenge shows that Mr. LeBlanc personally picked Five Nations Clam Co. from among seven bidders for the surf-clam quota. The memo also shows, however, that Five Nations had not actually signed up all its Indigenous partners at the time of the decision. The summation of its bid by Fisheries and Oceans bureaucrats says the group expected to attract more Indigenous groups from Nova Scotia, Prince Edward Island and Newfoundland and Labrador but these actual bands were “TBD” (to be determined). “Please take next steps with Proponent #6 and ensure that additional Indigenous communities are quickly confirmed,” Mr. LeBlanc said in a handwritten note on the document recording his decision.